With over 20 years experience in the industry, we are committed to providing you with the highest quality products and services. We offer an ever increasing range of swim spas and hot tubs, at transparent and competitive prices. Situated on one of the South’s leading garden centers, our hot tubs showroom is amongst the largest in Hampshire, offering a wide variety of hot tub & swim spa models, private taster session & changing facilities, and innovative accessories such as hot tub covers, cover lifters, gazebos, steps and artificial grass. We specialise in water treatment chemicals and maintenance products. We provide professional advice that covers the entire spectrum of pool and spa support. After-sales service is included as standard. We take pride in providing an excellent service during your whole experience. Visit Hot Tubs Hampshire showroom and find the right spa for you. 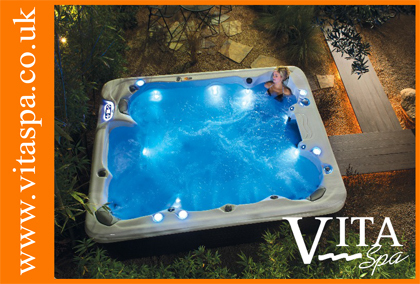 Over 9 hot tubs models and 2 swim spas models are on display in our showroom. A spa is a lifetime investment. This is why, we recommend for you to book a private taster session and “try before you buy”, making sure that your investment fulfils all your needs and desires. We offer private changing facilities and refreshments. Professional advice is always available if required. We deliver and install our spas in Hampshire and surrounding areas and offer free “no obligation” site visits.